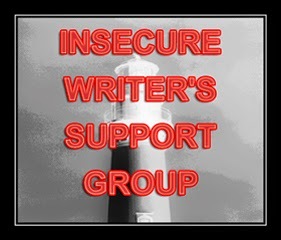 Insecure Writer's Support Group: Insecure Writer's Support Group Post Day and Upcoming Anniversary Surprise! Insecure Writer's Support Group Post Day and Upcoming Anniversary Surprise! It’s incredible to think that a simple idea (of mine, no less!) could expand into something so amazing. I couldn’t have foreseen the monthly postings catching on like they did, nor did I envision a website. (Or a Facebook group of over 1200 members – I’m not even on Facebook!) The support and encouragement you show one another is heartwarming. It motivates and encourages me! So in celebration of the anniversaries and YOU, we have a surprise and opportunity for everyone next month. Be sure to check back on September 3! Anyone else surprised we're coming up one three years of posting? Congratulations on this great milestone! I'm not surprised at all, as it is a wonderful idea and group of people. Thank you for coming up with the idea in the first place. The group has really helped me a lot. Three years is a long time. I think the members will be happy with what we have planned. Congrats on 3 years! I'm a newbie to this group, but the concept is so good that I'm not surprised. I'm sure it'll continue to grow. Wow, 3 years - that's a lot of insecurity, but also a lot of support. Thanks for such a great idea, and for making it what it is today. It's been an amazing three years! Looking forward to that. Congrats on bringing a wonderful brainchild to fruition through dedication and hard work. Three years?! Now we all feel old. LOL So thrilled this group continues to thrive! Congratulations on this great achievement! We all appreciate your idea. Thanks for keeping us inspired. It's been three years! Wow. I'm still wowing over the fact our webpage is almost a year old. Amazing. We'll be old in no time. Three years and just wait until you see what we have planned! Alex, I think your leadership is what has kept this group growing and improving. I'm so excited for surprise. I can't believe it's been 3 years! Wow! Congrats! Congratulations. That is amazing. And I love surprises. Watching for September. Thanks to Alex and his amazing co-hosts and a great support system!! A wonderful achievement! Congratulations. So glad this group exists and that I'm a part of it. I couldn't wait to create my post for today. I've been looking forward to it all week. That in itself says a lot about the power and inspiration of this group. Hmm, in a way I'm surprised the group is hitting 3 years already, but in another way it's hard for me to remember the blogging world without it. Three years? Wow!Congratulations on reaching that milestone. The group is amazing, and I can't remember ever blogging without it. This group is amazing and I cannot thank you enough for creating it! I have been really enjoying the facebook page too. Wow, that's amazing! I don't do monthly posts, but I really enjoy reading them. The writer community is the absolute best, and I'm so glad these posts exist! 3 years of awesomeness. It really is amazing, but such a great group. Some of the authors have really come a long way, too. Wow. Three years? I don't remember when I joined, but it was pretty early on. It certainly doesn't feel like 3 years. Congrats on the upcoming milestones. Insecure Writers Support Group is a terrific service and one to be proud of. Wow, I didn't know it had only been 3 years. This group is so strong, supportive, and influential that I assumed it had been around for ages. I'm so delighted to be a part of this group and hope the celebratory surpize is just as cool as this group. Wow is it three years already? Have I been lurking for that long? Why did it take me so long to join!!? WOW, the years are flying.... I remember SO CLEARLY when you first posted about this.... Being one of the original ....#15! I feel honored to be a part of such a wonderful group who every month is dedicated to helping others and receiving help as well. It's a total WIN/WIN situation.... THANKS ALEX!!!!! Looking forward to the news next month! Came in late into the fray! 3 years you've been at it and had missed all all the fun. Not going to miss a treasure trove forthwith. Thanks Alex! Hi Alex - it was a great idea .. I remember the IWSG group starting off .. and now look where the Group and idea is heading. Its indeed a great news to know about this celebration! Days just passed by. Oh My... 3 years!! Thank you so much for your great initiative in this regard of helping the fellow bloggers from around the world in giving timely suggestions etc. May this Group grow more and more and spread its wings high above.